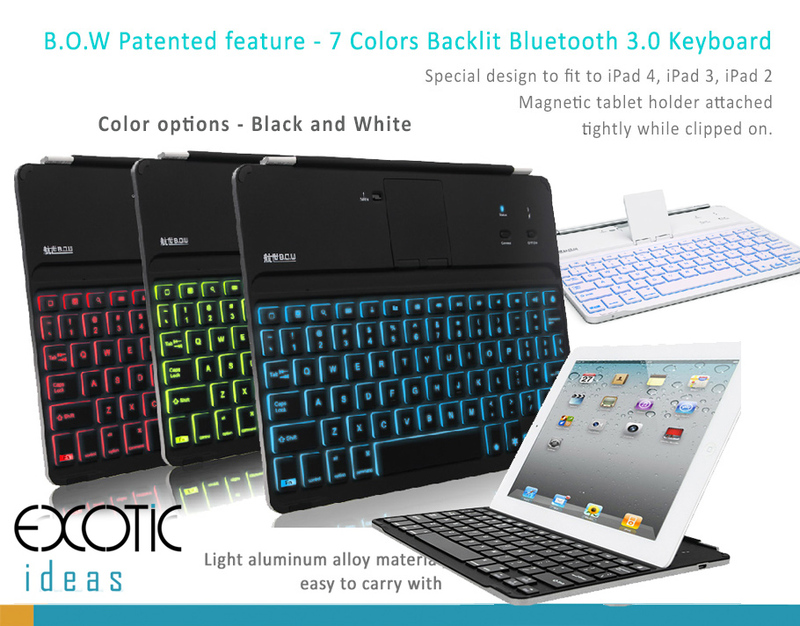 Home › Illuminating 7 Colors Backlit Bluetooth keyboard for iPad 2, iPad 3, iPad 4, with flip out stand. 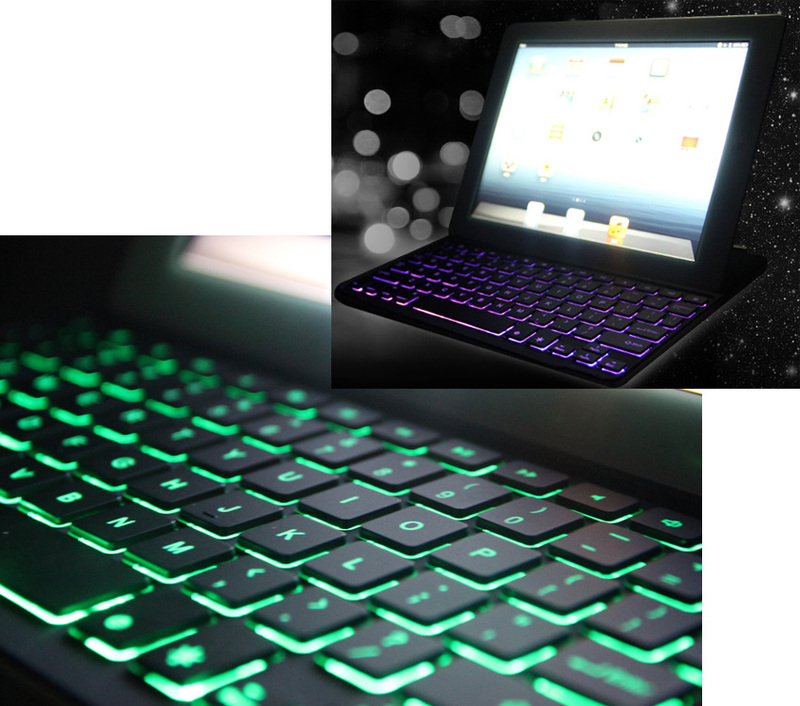 Illuminating 7 Colors Backlit Bluetooth keyboard for iPad 2, iPad 3, iPad 4, with flip out stand. 1. "BROADCOM" Bluetooth chip solution provides best performance. 6. 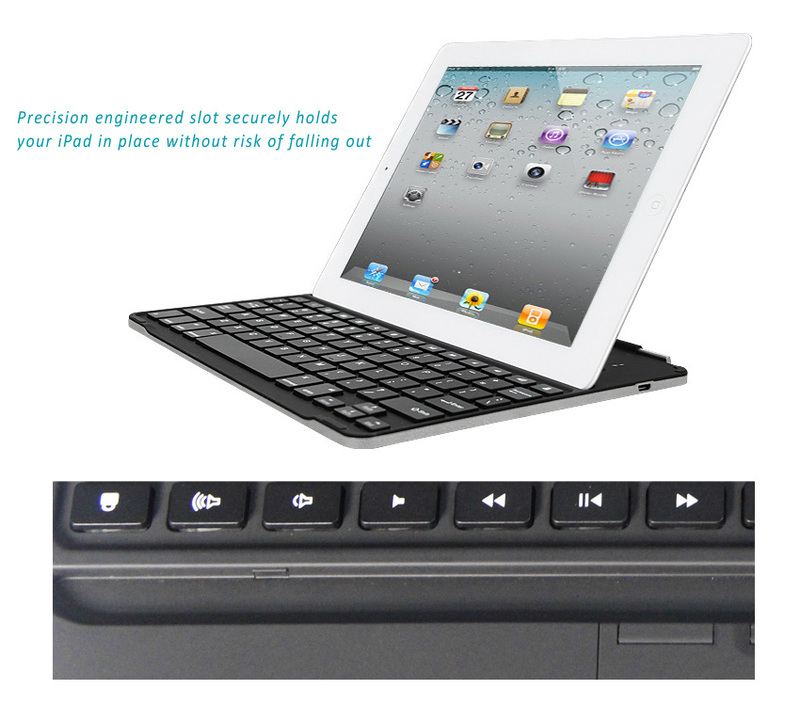 Precision engineered slot securely holds your iPad in place without risk of falling out. 7. Energy saving sleep function after 15 min of non-use. Press any key to waken. 8. 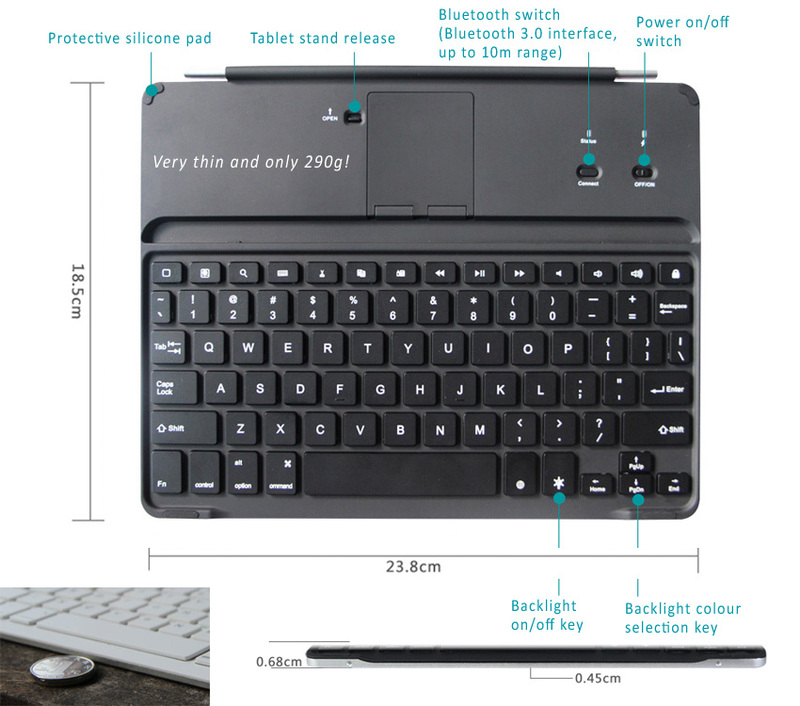 Durable textured scratch resistant aluminum alloy base. 9. 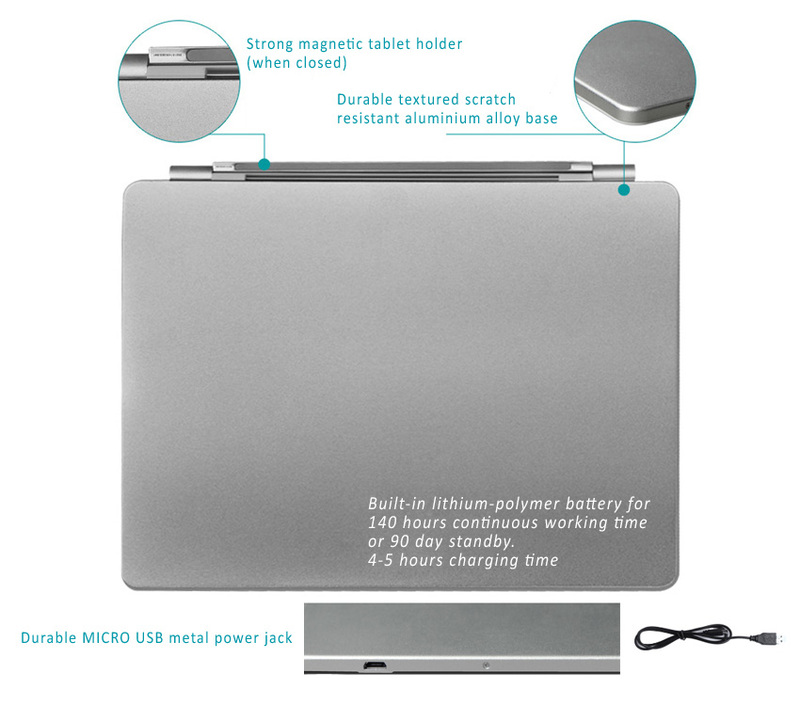 Built-in lithium-polymer battery for 140 hours continuous working time or 90 day standby. 4-5 hours charging time. 10. 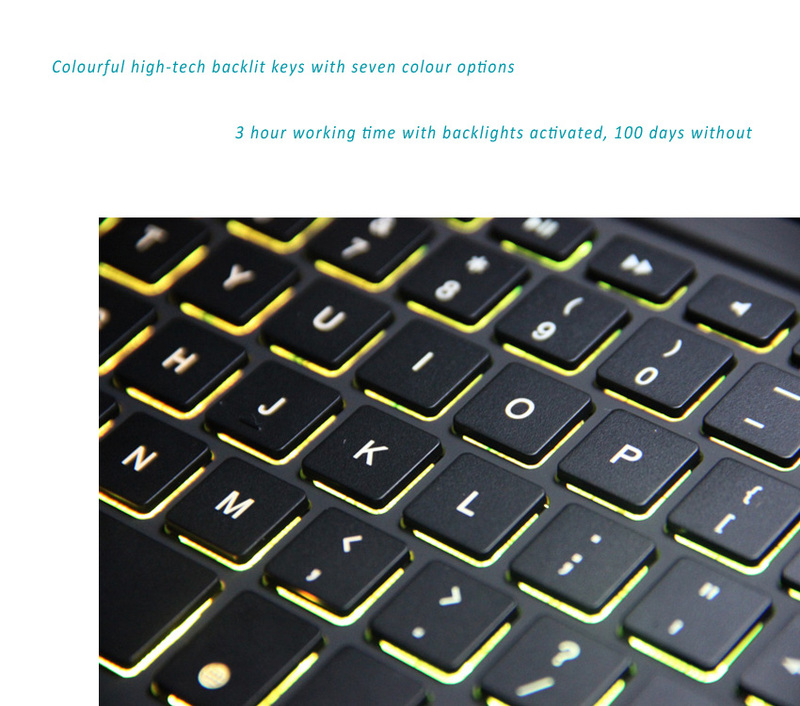 3 hour working time with backlights activated, 100 days without. 11. 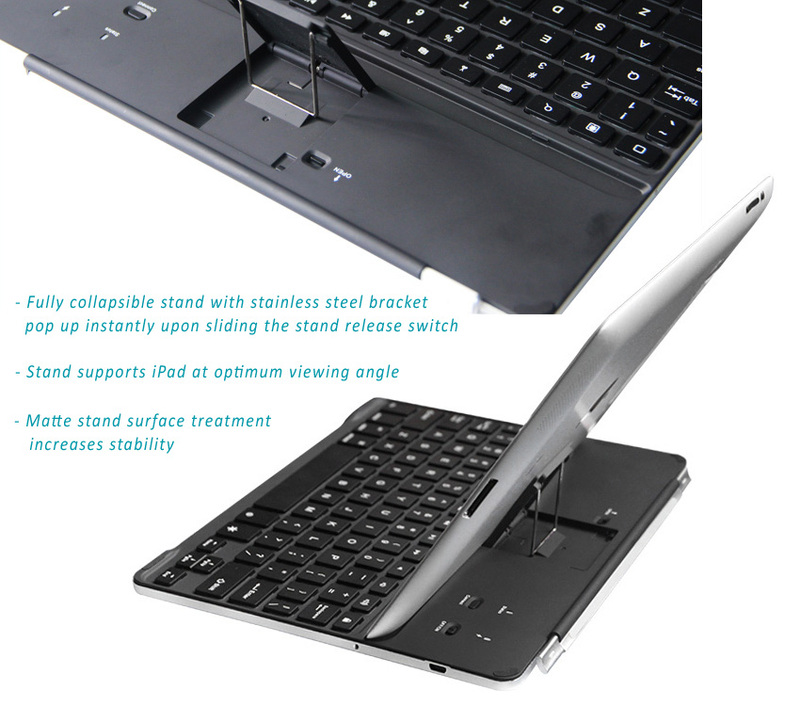 Fully collapsible stand with stainless steel bracket pop up instantly upon sliding the stand release switch. 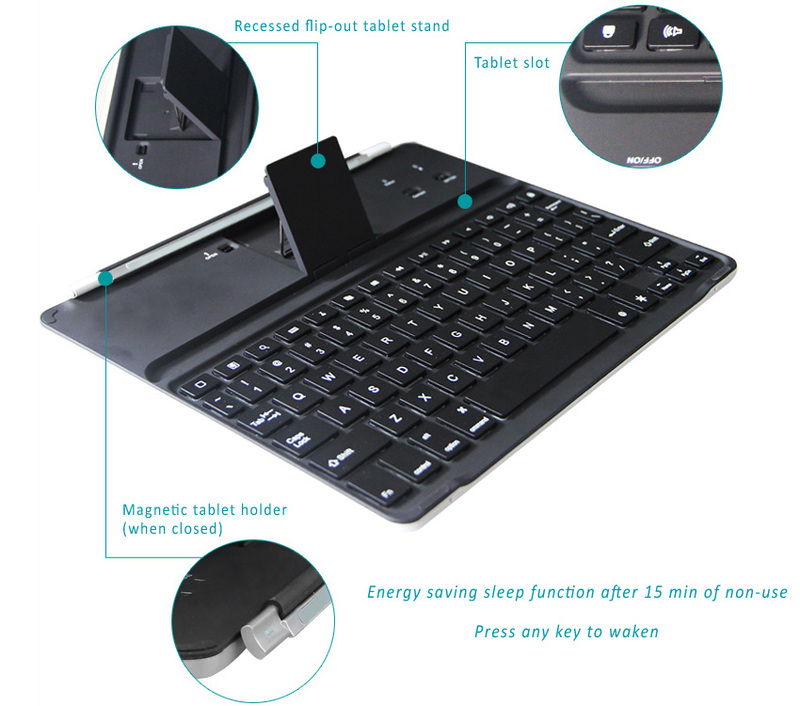 Matte stand surface treatment increases stability. 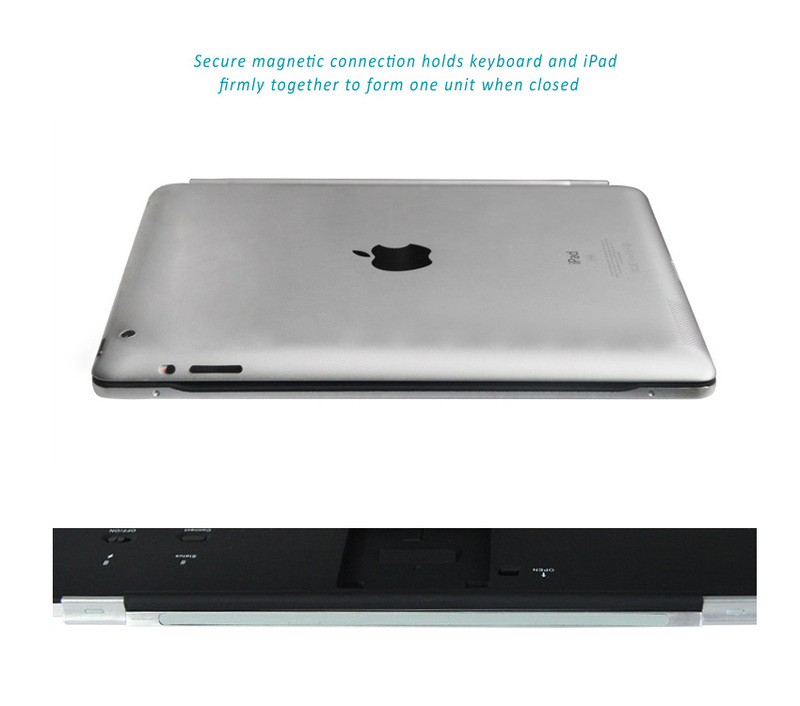 12/ Secure magnetic connection holds keyboard and iPad firmly together to form one unit when closed. 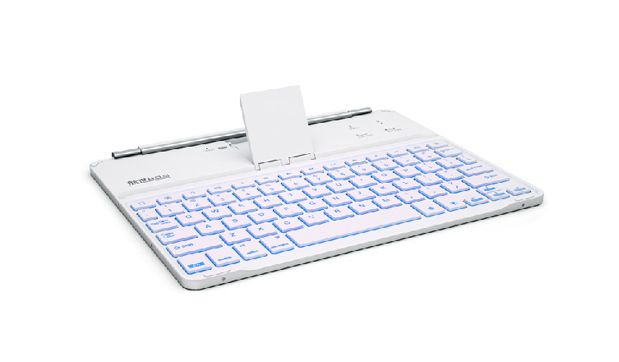 - Battery energy: It can last about 3 hours when the backlight is on; 100 days when the backlight is off.